Indoor tasting room with wet bar. View of property from vineyard. Main home is the white house on the far right which owners stay in. Tasting room is inside the red barn in the back lawn. Wet barn within barn's tasting room. View of tasting room leading out to patio. Alternate view of tasting room. Tables and chairs can be utilized or moved for full customization. View of vineyard with tasting barn in the far back right corner. Vineyard's green grapes in peak season. Vineyard's red grapes in peak season. 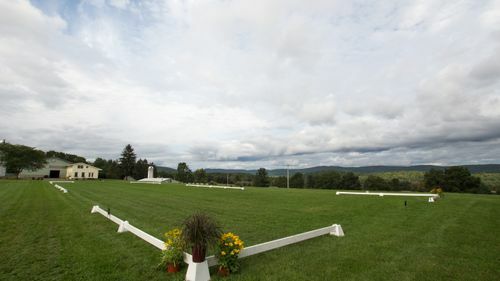 View of lawn available for tented reception. View of main home and on-site tennis courts. View of host's artwork on lawn. View of lawn in front of tasting room featuring host's artwork. 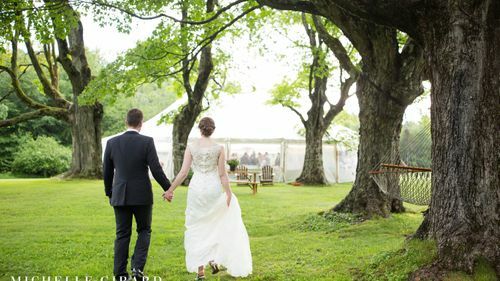 Wood line or split rail fence serves as perfect area for ceremony backdrop. Alternate view of side lawn available for parking. view of tented reception site. Additional vineyard landscape and host's artwork. 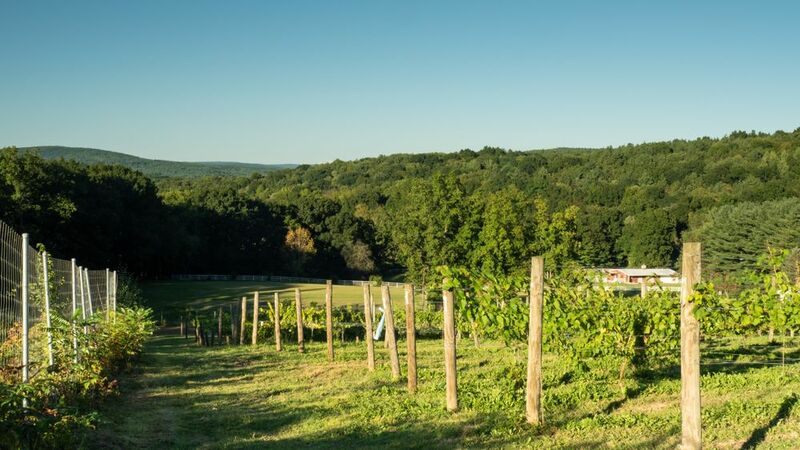 Just 30 minutes southeast of Albany, rests an enclosed vineyard perfect for private events. 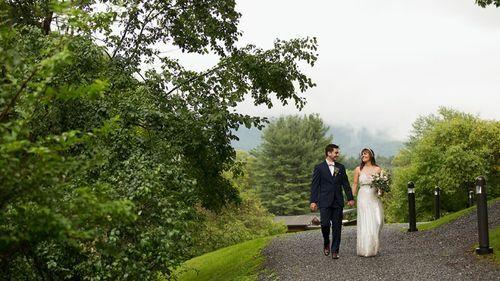 Easily accessible from the Taconic State Parkway, couples can utilize both the outdoor lawn space and indoor tasting room (35x75 ft) for on-site ceremonies, intimate cocktail hours or large tented receptions. 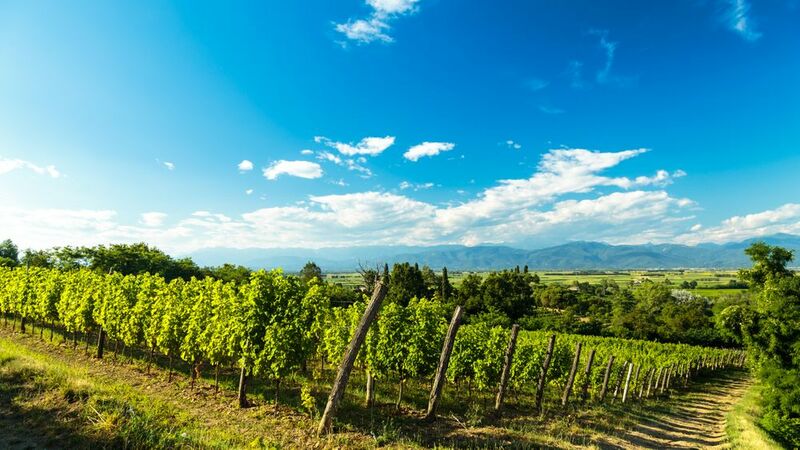 On your wedding day, emerge from the vineyard to an outdoor ceremony set against rows of red and green grapes. Transition into the tasting room and it's patio for a cocktail hour or seated event for up to 125 guests. For larger receptions, enjoy an outdoor tented reception for up to 200 guests. End the night by sitting around a camp fire and booking the on-site guest home for an overnight stay. Changing Rooms - Available with on-site home rental (see below). Restrooms - 2 - Located inside tasting room for events under 125 guests. Parking - Up to 200 cars. Bar - Wet bar inside tasting room. Kitchen - Separate room inside tasting room. 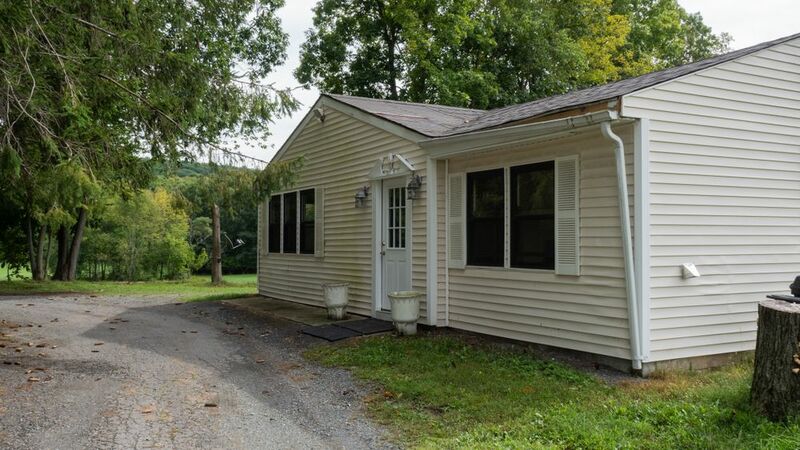 Includes prep area, dishwasher, refrigerator and freezer, dry goods storage area, loading and unloading docks, and easy access to reception site. 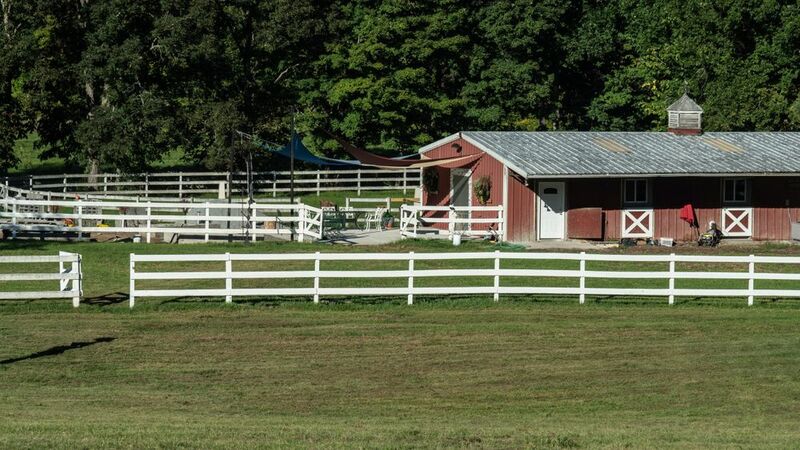 The on-site ranch style guest house can serve as the perfect location to gather your wedding party on-site before the big day or stay overnight in it's one bedroom suite. Alternate view of 1 bedroom. Living area. 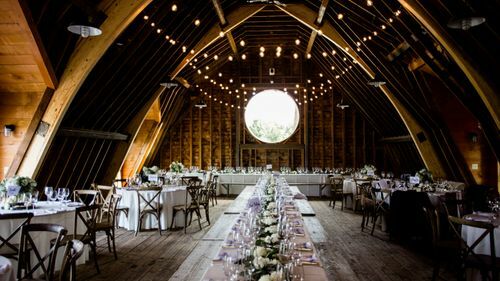 Great space for getting ready prior to your wedding day. Small table in open living area. View of kitchen inside guest house. Alternate view of kitchen space inside guest house. Includes washer and dryer. Guest house bathroom with stand up shower. Alternate view of guest house bathroom. Open Flame Policy: Authorized upon request.